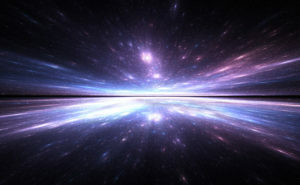 Different cultures have very different myths about the creation of the universe and humanity, from Genesis and even earlier stories, through the Big Bang. These stories help shape the way we think and feel about creativity, the purpose of life, and more. Our Interim Clergy Leader, Jone Johnson Lewis, will tell some myths, and then reflect on their different ideas about how we create and how we live. Jone Johnson Lewis is serving as the Interim Clergy Leader of Brooklyn Ethical. She has been an Ethical Culture Leader for 26 years and shares the Society’s interests in both social justice and personal/interpersonal transformation. Program followed by snacks and coffee/tea — please feel free to bring something to share! 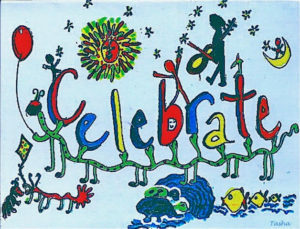 May theme: creativity. What does it mean to be a person of creativity? What does it mean to be a community of creativity? 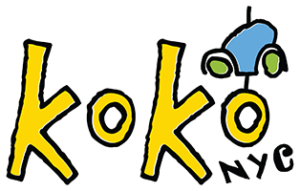 Inviting youth, 15 to 20 years old for a Social Justice and Arts project with Koko Gallery. The youth board will be leading a free workshop and discussion surrounding the ways that our separate narratives and experiences are brought together through our shared environment. Those who participate in this activity will have complete creative control, although prompts are provided as well. The workshop will culminate in a crowdsourced tapestry, that will eventually be displayed at Koko Gallery. Artistic talent is not required to make a meaningful contribution, as the piece is simply a representation of the individuals’ experiences. This project is co-sponsored by the Brooklyn Society for Ethical Culture’s Ethical Education Committee. The land we now call the Middle East is truly a melting pot of cultures of the East and the West. 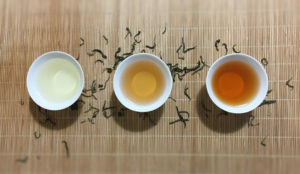 Let’s discover how the tea traditions there have been shaped through time while different cultures meet and powers shift. Join us as we appreciate this universal beverage we all share, and discuss the evolving role of culture in the context of globalization. Special guests will join for conversation. Limited space, please RSVP here. Darold Cuba and Doug DiStefano, Ph.D.
#HackingRacism focuses on disrupting status quo thinking, ferreting out how it reinforces & replicates resulting in systemic, institutional & structural racism. When people are purposely gathered to focus on these factors, they can, with increased facility, readily identify and examine the various forms of racism occuring in their everyday lives and at large in the general society. OK, so let’s meet up and get busy! All that we are missing is YOU! 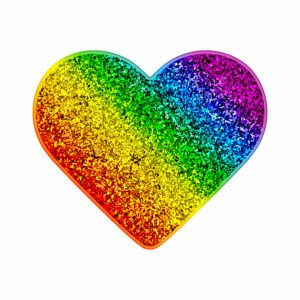 Is our community a creative community? What would that mean? Sure, we have a lot of people around who are poets and artists and who create as individuals. But what does it mean to be creative as a community? 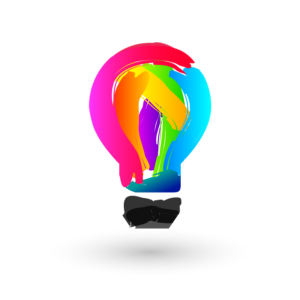 What would we need to do to increase our creativity? How do we keep our community relevant, buoyant, inspiring, as the world around us changes? The second Sunday in May is observed in Ethical Culture Societies as Founder’s Day. In 1876, with a Founding Address, a 24-year-old Felix Adler created a new kind of community. He wrote, “We cannot adopt the way of living that was satisfactory a hundred years ago. The world in which we live has changed, and we must change with it.” How do we keep changing? How do we keep our community creativity alive? Our Interim Clergy Leader, Jone Johnson Lewis, reflects this Sunday on how we keep creating community. 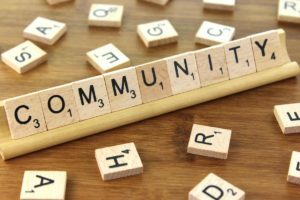 The ideas also apply to other communities and organizations, not just Ethical Culture Societies. ON SUNDAY, MAY 20, 2018 AT 11AM there will be out ANNUAL MEMBER PASSION PLATFORM followed by a POT LUCK PICNIC IN OUR BEAUTIFUL GARDEN AT 12:30PM. ALL ARE INVITED TO PARTICIPATE! MEMBER PASSION PLATFORM is a time for members and friends of Brooklyn Ethical to share for a few minutes,during platform, something they love- a passion or hobby. e.g, a song, poem, painting, photos, gardening, meditation, family activity, pogo stick jumping , a social justice cause, magic tricks, etc.- Paulette Graf will lead us in a short meditation, Someone in the past taught us a few words in sign language, a woman led us in her favorite song. Some of our children in Ethics For Children will be participating too! THE SKY’s THE LIMIT! We will also have DISPLAY TABLES where, after platform, folks can browse and see what it is some of us have made. POT LUCK PICNIC– We encourage everyone to bring a dish of some kind so that we can have a resplendent lunch together after platform. Any contribution- whether homemade, gourmet, or from the corner store- will be welcome! Members and non-members are welcome to participate! Please contact Tasha Paley at <tashapal@gmail.com> or call her at 917 200 8451 with any questions and/or with your interest in participating in the platform or displaying . Thanks! 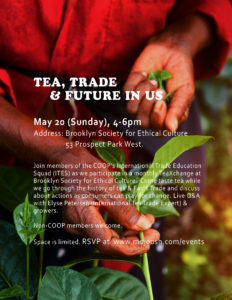 Join members of the COOP’s International Trade Education Squad (ITES) as we participate in a monthly TeaXchange at Brooklyn Society for Ethical Culture. Come taste tea while we go through the history of tea & Fair Trade and discuss actions consumers can play for change. Live Q&A with Elyse Petersen (International Tea Trade Expert) & growers. 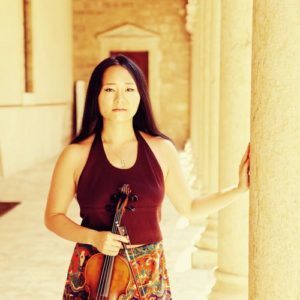 Border-crossing violinist, Megumi Saruhashi presents Megumi & Friends, an evening of her original compositions at Brooklyn Ethical Culture on Friday May 25th from 8pm. Joining her are Brian Prunka on oud, George Crotty on cello, Zach Lapidus on piano, Dan Kurfirst on percussion. Megumi & Friends is where Megumi shares her compositions in her tireless search for finding unity within diversity in people and music. Megumi & Friends is sponsored, in part, by the Greater New York Arts Development Fund of the New York City Department of Cultural Affairs, administered by Brooklyn Arts Council. Megumi is awarded a Brooklyn Arts funds from Brooklyn Arts Council in 2018 for Megumi & Friends where she shares her compositions in Brooklyn, in her tireless search for finding unity within diversity. Join us for a discussion on health, well being and the connection to current events as we navigate these challenging times. June theme: possibility. 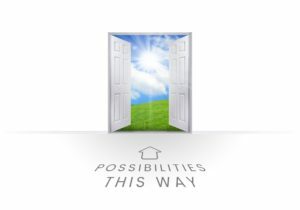 What does it mean to be a person of possibility? What does it mean to be a community of possibility? SORRY, THIS EVENT IS NOW SOLD OUT! Mark JUNE 3RD, 2–4pm in your calendar! This is the last one before we resume the program in Sep! Come celebrate what tea has brought us and let’s share some special moment before we heading into summer! Guqin artist from 7’s Art will join us with some remarkable tunes from the old time. We can step into the garden for tea if weather is permitted. Would love to see everyone there! If you have one or two teas you would love to share, we will have a market at the end that you can exchange teas. What would you do if you discovered that the world you’d bet your life on was really just a story? 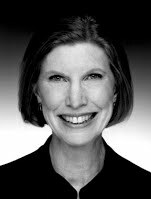 In 1999, fresh out of Harvard, Helen Zuman set out on a quest for meaning, belonging, and skills not taught in school. She wound up at Zendik Farm, which promised all of this, plus exclusive access to the secrets of building a completely honest romantic partnership. It took her six years to realize that Zendik was a cult, not a revolutionary new culture—and another twelve to compost the experience into Mating in Captivity, a memoir rich with revelation and insight. Please join Helen at BSEC on Friday, June 8, from 7:30 to 9:30 P.M., for her book’s Brooklyn launch—featuring incisive questions from Wall Street Journal columnist Anne Kadet; light refreshments (including homemade chocolate); book sales and signings; and plenty of time for convivial mingling. You may RSVP via Facebook, or by sending Helen an email (madgelma@hotmail.com). Are you interested in more people finding the Brooklyn Society and becoming members? Are you wanting to make it easier for new people to find the Society, and then to connect with the Society and become part of the community? Do you have some vision about what this Society could be like? It’s a lot easier to do the publicity and programming to help new people find us, if we know what and who we’re aiming for. Who are the next 100 members? What do they need? The good news is that you don’t have to have a crystal ball to answer these questions. Each of us has some of the wisdom, vision, and creativity we need to develop a more strategic outreach and member development effort. And yes, YOU are one of the people who has a share of that wisdom, vision, and creativity, whether you’ve thought about membership growth and future planning or not! YOU are invited to be part of this day. 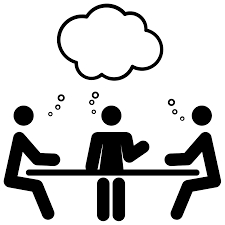 Saturday, June 9, 10:30 a.m. – 2:30 p.m., in the Library (2nd floor), the Membership Development Committee is hosting a workshop where our Interim Clergy Leader, Jone Johnson Lewis, will guide us through some proven structured brainstorming and creativity exercises, as we envision the Society’s growth and what it will take to get there. A light lunch will be provided. Please register by June 7 so we have enough food. Unfortunately, we don’t have the space that day to provide child care. When we honor other people based on the immeasurable idea of worth, rather than on such measures as how they can be useful to us, we create more possibilities for our relationship with the other, for what we might elicit in the other by our actions, and ultimately, in ourselves. Rather than closing doors, treating others as they might possibly be, and not just as they have been, will open doors for those others and for ourselves. In this week’s platform talk, Interim Clergy Leader Jone Johnson Lewis will explore the ways in which we can open doors to new possibilities in our everyday actions — and in doing so, possibly help create a more humane world.